Yuvan Shankar Raja’s first ever international concert has been postponed. When the music director was contacted to find out what made him postpone the event, he said that being the first international concert he is planning to make the show memorable and hence working on novel ideas. 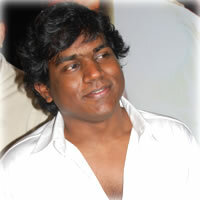 Yuvan added that he is practicing vigorously to make the show a grand success. The show was to be held on April 25th in Toronto. Noted singers like Hariharan, Vijay Yesudas, Shankar Mahadevan, Blaaze, Vasundaradas, Neha Bhasin and Haricharan were expected to participate in the show. Ash and Preity refuse… who next? Peraanmai – Ravi’s heroine woes end!